After a long term leak which was discovered from the cold feed into the washing machine, we were asked to rip out everything in this kitchen/dining area and dry everything out. Once the area had dried sufficiently, we levelled the floor, took out walls and built new ones to encompass a new kitchen/dining area. We fitted a solid wood kitchen with oak worktop, tiled and grouted the splashback, then laid a new solid oak flooring throughout this new area as well as throughout the hallway and lounge. With new skirtings, architraves and internal doors, the end result looked stunning. Please accept this email as a reference for Andy Stevens of Eclipse Property Solutions. Andy and his team successfully removed a wall between two adjoining rooms, re-plastered the entire area, and redecorated to a high standard. 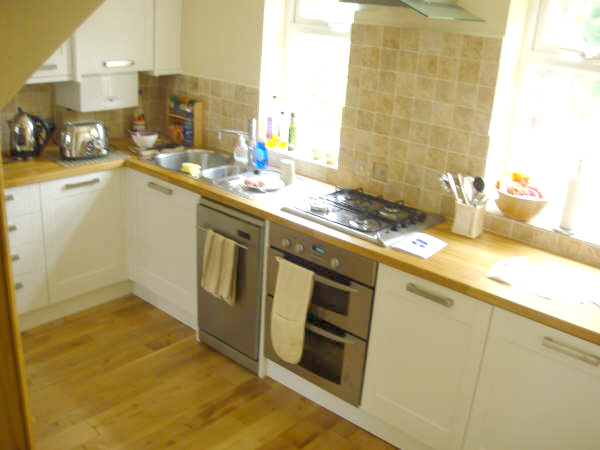 They have also re-laid all floors in the downstairs section of the house and fitted a brand new kitchen. All work was completed, efficiently and to a high standard. I have found his team are easy to work with (they seem happy to explain anything that was not understood) and were excellent at tidying the house each day before they left. 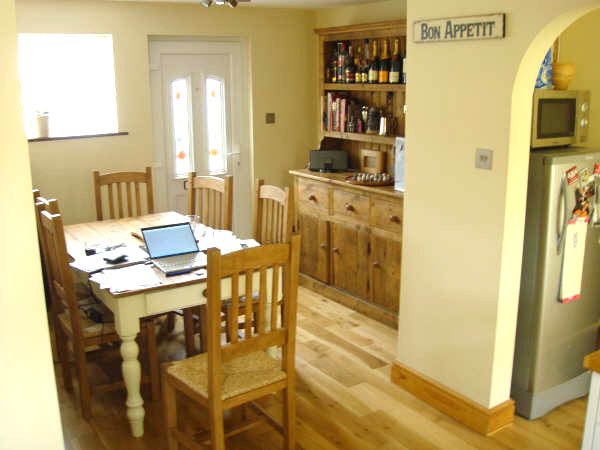 (I was extremely impressed with his Carpenters work, who fitted an awkwardly shaped kitchen).